FAMILY FUN - SECOND TO NONE! Saugeen Shores Award Winning Port Elgin Pumpkinfest. Welcome to Port Elgin Pumpkinfest! One of Ontario’s most unique events. Featuring two GIANT Vegetable Weigh Offs, one of Ontario's LARGEST two day outdoor Car Shows, craft & marketplace vendors for all your Shopping needs and tons of FAMILY FUN Attractions, Port Elgin Pumpkinfest is THE place to be! Held in downtown Port Elgin. 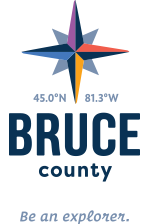 It takes the entire COMMUNITY to run a festival of this size and Port Elgin Pumpkinfest is proud to partner with our Sponsors, local Non-Profit Groups, Volunteers, The Municipality of Saugeen Shores, and more. It is because of all their hard work that Port Elgin Pumpkinfest was the recipient of the "Best Community Involvement Award" and the "Best Virtual Campaign Award" from Festivals and Events Ontario. WAY TO GO SAUGEEN SHORES!! You don't want to miss this Award Winning, Record Breaking, One of a Kind, Top 100 Ontario Festival! Always the weekend before Thanksgiving!